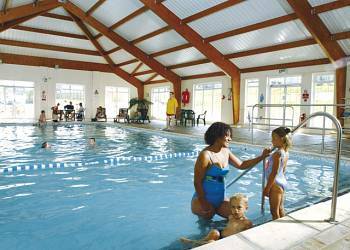 We have 147 Cornwall holiday parks featured. 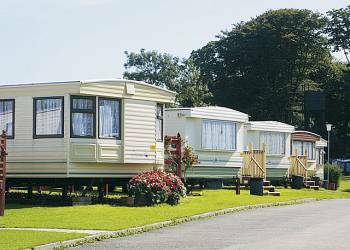 Each of the parks included here in Cornwall have caravan accommodation, holiday lodges or cabins available for holiday rentals. If you have a specific town in Cornwall you would like to go to then the menu on the left is the best way to narrow down your search. 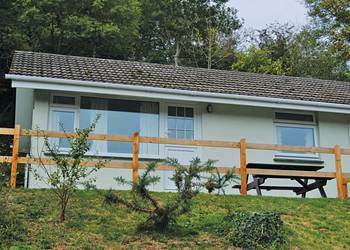 Once you have found the holiday park in Cornwall that you are interested in you can use the 'View Accommodation' button to find out more about the accommodation available at the park. If you would like more information before booking 'Park Information' provides a wealth of information about the park including lots of pictures, reviews, full details and a map of the area. Just a short walk from the beach, Gwel an Mor is a great place to relax and unwind, whether your ideal holiday is trying your hand surfing or kayaking, building sandcastles or simply admiring the breathtaking views from the coastal path, there is something for everyone here.Gwel an Mor is the ultimate 5 star luxury retreat, and is found close to the fishing village of Portreath, making this stylish holiday village the perfect place for a family holiday or romantic break. The holiday village has a club house which includes an indoor heated swimming pool, together with jacuzzi, steam room and sauna, while outside a putting green or a game of croquet is a great way to while away the hours.Why not treat yourselves to a meal in the superb Terrace restaurant which has spectacular views over the Atlantic making it perfect for a leisurely lunch, an afternoon cream tea or a superb evening meal.If you're after a more relaxing break, why not spoil yourself with a relaxing treatment in the beauty therapy suite.Cornwall is packed with things to do and see, with Tintagel and King Arthur's castle top on everyone's list, along with Land's End, the Eden Project, and the picturesque fishing villages of Looe and Polperro to name but a few.Gwel an Mor's Scandinavian style two and three bedroom, two storey lodges, have energy efficient contemporary styling and some even have their own hot tubs for that all essential unwinding and relaxation. The Old Mill hosts a welcoming reception and informal Bistro, while nearby Fowey boasts spectacular beaches and hidden coves. Looe and Polperro, bursting with traditional Cornish charm, are close by. 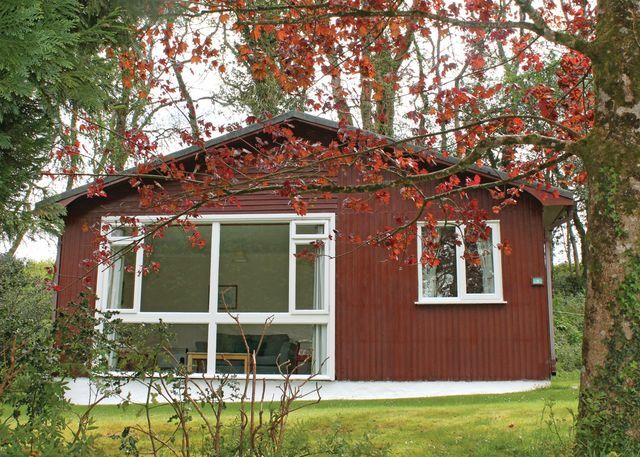 Nestling in a beautiful wooded valley near Bodmin Moor, this enviably located park offers a true oasis of peace and tranquillity right in the heart of Cornwall. 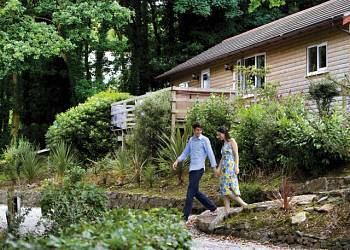 A nature-lovers' paradise, you are just 5 minutes' cycle ride from the famous Camel Trail. Padstow is close by, glorious beaches and the world-renowned Eden Project number among a wealth of attractions within easy reach. Visitors will find a re-furbished play area with new professionally built play equipment for all ages. You will will also love watching the abundant wildlife around the park. Within 12 miles there are no less than eight Golf Courses. The perfect retreat to relax and unwind, these superb quality, spacious and well appointed south facing lodges are conveniently close to many popular villages such as historic Clovelly, trendy Rock, Padstow and breathtaking Port Isaac and offer easy access to both North Devon and Cornwall.Ivyleaf Combe is truly unique; each superb, luxury lodge in their beautiful woodland surroundings has been stylishly furnished with contemporary interiors and modern day living very much in mind. Treat yourself to a romantic break for two or a revitalising break with family and friends and enjoy your very own hot tub and take advantage of a pamper pack.Ivyleaf Combe is an excellent base for exploring the breathtaking scenery and unique attractions of this much-loved region. Cornwall is home to some of the most spectacular sandy beaches in the country, and golf, horse riding, sailing, fishing and surfing are all available close by, together with superb cycling and walking along the breathtaking famous Cornish Way and Heritage coastline. Whether you're looking to recharge your batteries or seeking an energetic break away this stunning collection of truly special lodges are the perfect base from which do as much or as little as you please and enjoy a wonderful break away. With its miles of golden sandy beach, beach bar serving local food and ales, a golf course, surf hire and lessons, horse riding and a wide expanse of dunes that are perfect for exploring, the town of Perranporth has lots to keep you entertained.Only a short drive along the coast is Newquay with its surf culture, working harbour that provides fishing trips, a cinema, zoo, leisure centre, shopping, restaurants and cafes provides a great day out.Everything needed for a truly memorable holiday has been provided in the stylish Perranporth Bungalows, and with miles of coastal footpaths and sandy beaches nearby they are the perfect base from which to explore Cornwall or enjoy a romantic getaway. 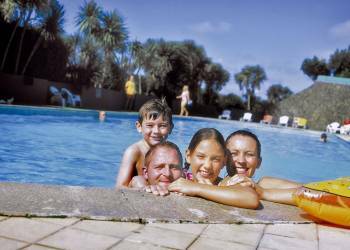 Among the fantastic facilities on offer are an outdoor heated swimming pool with a 300ft waterslide and toddlers' pool, a playground and an entertainment venue. Children will love all the fun and games of Treetops Grove, including treasure hunts, competitions and stories. Once the sun goes down, there's family entertainment on offer in the Surfrider Club, or you can simply sit back relax and enjoy a quiet drink in the bar. Enjoying a unique setting amidst beautiful parkland surrounded by the lush and rolling Cornish countryside, this lively park proudly holds the David Bellamy Gold Award for Conservation. 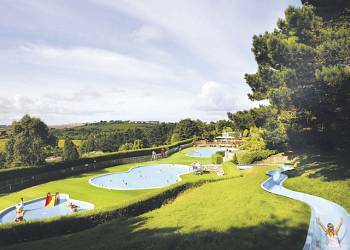 Just 3 miles from bustling 'surf capital' Newquay, the park offers a superb base for a fun filled family holiday. Superbly situated just 200 yards from a beautiful sandy beach surrounded by towering cliffs, these luxury apartments in stunning Watergate Bay are perfect for a relaxing Cornish seaside break. The renowned fresh seafood and Jamie Olivers 'Fifteen' restaurant offer unmissable local treats. The tide at Watergate Bay stretches out for over 2 miles making it ideal for sunbathers and fun seekers alike. Kite surfing, kite buggying, wave skiing and surfing are all available in the local area. With so much to see and do in and around the park, there's something for everyone at Trelawne Manor. 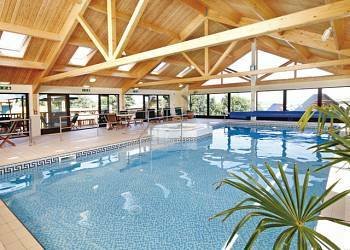 The indoor heated pool provides the ideal place for a relaxing swim, or there's the glorious outdoor heated pool with its fabulous spiral flume. Children will love the adventure play area and all the fun and games with their own Foxy Club. Once the sun goes down you can start the evening with a takeaway or a meal from the Chef's Corner, before enjoying the family entertainment, music, dancing and competitions on offer in the clubhouse. Overlooking the famous coastal beauty spot of Widemouth Bay this park stands in the heart of the magnificent Cornish countryside. Boasting over 50 acres of grounds, a steep footpath near to the parks entrance leads directly to Widemouth Beach, one of the finest in Cornwall with its vast expanse of sand good bathing and superb surfing. An indoor heated swimming pool, Foxy's children's club and a Clubhouse with dancing and evening entertainment are among the facilities for you to enjoy on the park. 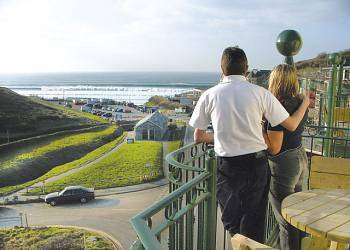 An excellent base for exploring the many treasures of the Cornish coastline, close by is the tiny seaside resort of Widemouth Bay and Bude, a leading holiday centre with numerous tourist amenities, only 4 miles away. A wealth of old market towns, picturesque villages, olde worlde inns, ancient churches, charming little coves, beautiful beaches, craft centres and wildlife parks await in the surrounding unspoilt countryside. Mystical Tintagel the legendary home of King Arthur is easily accessible. Newquay and Ilfracombe are both within an hour's drive.